Motors are used everywhere from simple applications, such as powering a ceiling fan, to complex four-quadrant operation in a hybrid/electric vehicle propulsion system. 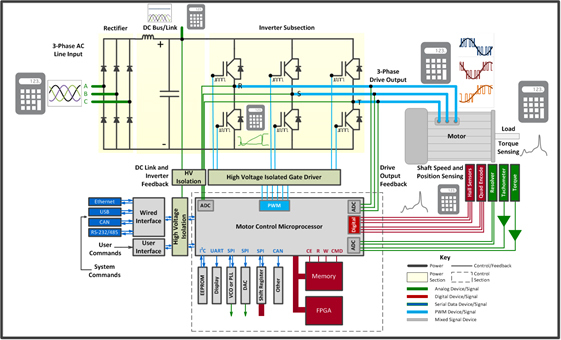 In this webinar we will discuss the measurement challenges in debugging a complete motor drive embedded control and power system. Attendees will leave with an understanding of the tools and methodologies for measuring static (steady-state) and dynamic motor and drive performance. We will cover the advantages of a single tool for complete dynamic system performance integrating electrical and mechanical power measurements, inverter subsection, and embedded control system measurements, including measuring power activity during very short time periods that correspond to the power semiconductor device switching period, as required in volt-second and vector field-oriented controlled (FOC) motors. Register so we can send you the recording and slides.